BACKSTAGE IS OFTEN A FAIRLY UNGLAMOROUS LABYRINTH. THROUGH A LONG CORRIDOR WE’RE PASSING A NUMBER OF MEN IN BLACK, OF WHICH ONE IS CLEARLY RECOGNIZED AS BRYAN ADAMS. HE SMILES AND GREETS US. 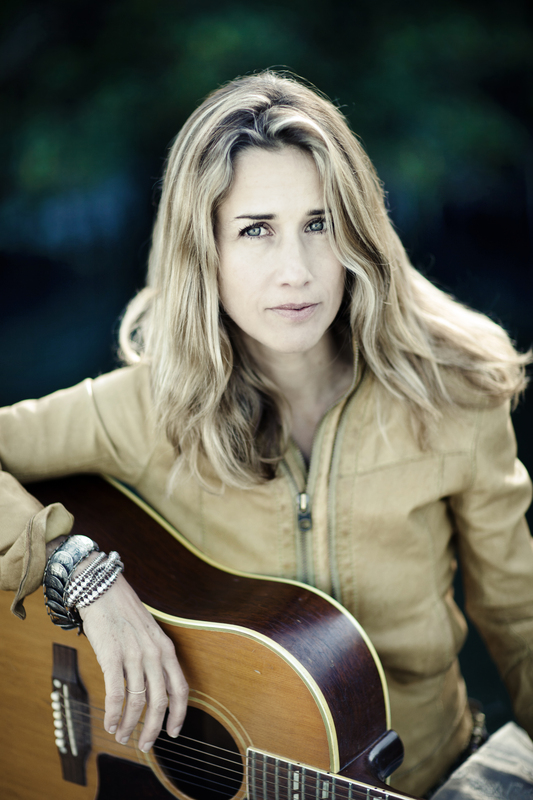 IT’S HIS SHOW, BUT WE’RE HERE FOR THE OPENING ACT: BERMUDIAN SINGER-SONGWRITER/POET HEATHER NOVA. WE’RE GUIDED TO A ROOM WITH A SMALL TABLE. ABOVE IT THE LIGHTS ARE OUT OF PROPORTION. THEY’RE ENORMOUS. HEATHER ENTERS AND LOOKS UP. “IT KIND OF FEELS LIKE A INTERROGATION ROOM”, SHE SAYS. I AGREE. IT’S BRIGHTER THAN BRIGHT. THE GUYS FROM THE RECORD COMPANY TRY TO COMPENSATE BY TURNING OFF THE LIGHTS. NOT A GOOD IDEA BECAUSE NOW IT’S COMPLETELY DARK. THERE’S NO ESCAPE FROM THE MEGAWATTS. I’M PROVING THAT EXHAUSTION DOESN’T ENHANCE MY VOCABULARY WHEN SHE ASKS ABOUT THE STORY BEHIND THE PROJECT AND I SUMMARIZE OUR CAUSE BY THE LIMITED EXPLANATION THAT IT’S ‘TO CURE MY INSOMNIA’. BUT MAYBE, TO A DEGREE, I’M PROTECTING MY CHILDHOOD. I’VE SPEND MY EARLY YEARS ON A CARIBBEAN ISLAND WITH THE CORAL REEFS PRACTICALLY IN MY PARENTS BACKYARD, IN A TIME WHEN THE SEA AND ITS RESOURCES SEEMED AS GOOD AS EVERLASTING. ITS VASTNESS WAS GENERALLY CONSIDERED A GOOD EXCUSE FOR DUMPING LANDS’ SURPLUS INTO AND CORALS WERE REGARDED AS CHEAP SOUVENIRS. ENVIRONMENTAL CONSCIOUSNESS WAS A STATE OF MIND AWAKENED IN ONLY A FEW. FOR AS LONG AS HISTORY KEEPS REPEATING ITSELF I MOST LIKELY STAY AWAKE. THE DEFINITION OF A WARM-UP ACT MEANS LEAVING YOUR OWN FANBASE BEHIND. STILL IN THE MIDST OF HER PERFORMANCE OF HEART AND SHOULDERS’, EARLIER THIS EVENING, BRYAN’S FANS SURRENDER AND WHOLEHEARTEDLY APPLAUD HER SIREN LIKE VOICE. HEATHER HAS JOINED US AT THE TABLE. SHE’S WEARING A SCARF WITH COLOURS THAT REFLECT OFF THE SALT WATER SURFACE. ‘300 DAYS AT SEA’, HER LATEST ALBUM, DRAWS A STRAIGHT LINE FROM THE INNOCENCE OF YOUTH TO HER CONCERNS FOR THE FUTURE OF HER SON IN A CHANGING WORLD. IT’S A STORY ABOUT THE OCEAN. IT’S A BEAUTIFUL JOURNEY HOME. Sanderz: You consider an album as “a complete body of work”. Assuming the body has a soul, how would you describe the soul of your latest album “300 Days at Sea”? Heather: Oh boy, that’s a good question. A deep ocean soul. Pretty much all the songs in there refer to the ocean in some way. That’s part of my soul. I come from the sea right from when I was very little. It was nice to make a record that really expresses that connection. Sanderz: So you are intrinsically linked to the sea as a common thread in your life and work. 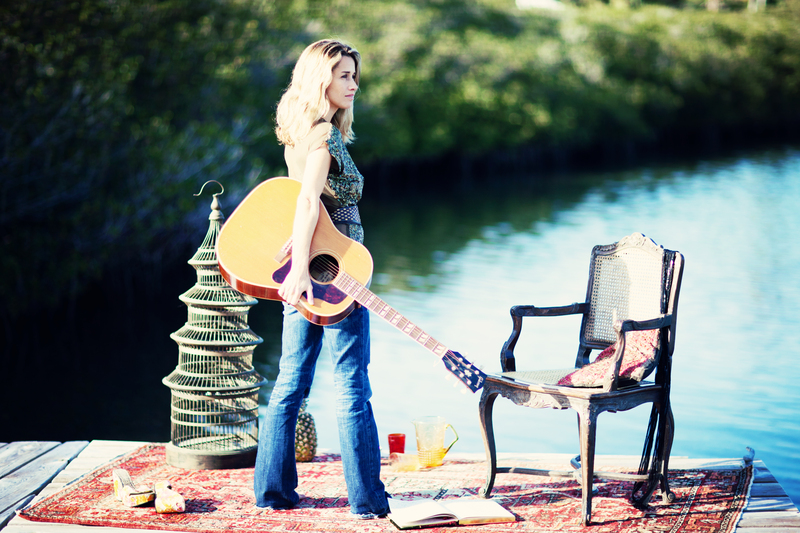 Figuratively speaking, what would Heather Nova be on dry land? Heather: (laughs) A fish out of water. You know, it’s funny because I grew up on a sailboat travelling around and now I travel on a tour bus, so I kind of do it on dry land. I lived in London for 15 years. That’s where I started my career. It was a great place for me, it really worked. I met a lot of people that were helping me with my career; a great band, management and a record deal. But after I’d been living there for a number of years I just started to feel this thing deep inside that I needed to go back to where I came from, to that little island. Before I had this realization, I was touring the world and thought I would find the perfect place to live. I saw a lot of places, but in the end what I really needed to do was go back to that small island life. So that’s what I did. Sanderz: Your home and studio are solar powered; Being dependent on the sun as your energy provider means living and working in another rhythm. How do you practically adapt to the sun? Heather: We are tied into the grid, but we’re still very energy conscious. A 6 Kwh solar panel system powers our house. It takes care of all of our power, but we have to be careful not to run the dryer too much or something like that, so we hang the clothes on the line. I think conscious living is important and it’s wonderful to be using power knowing that it’s coming from the sun. It’s just such a good feeling. And also financially it made sense. Where I live, in Bermuda, they have the highest electricity bills in the world. But also:” Here we are in this sunny place, why isn’t everybody doing this?” Believe it or not, we were some of the first people there to power their home with solar energy. Sanderz: “Everything changes” is a very positive outlook on life’s adversities. How does making music contribute to this philosophy? Heather: Well, making music allows you to go into the sadness and the painful parts of your life. It allows you to feel that pain and then you can come out the other side. That’s how I feel and ‘Everything Changes’ was written actually out of a painful situation. Sometimes when you go into music it can be melancholy but out of that you can feel this little ray of hope. Sanderz: Is there an essential difference between expressing a topic through song rather than through conversation? Heather: For me it’s completely different. I write about things in my songs that I don’t share with anybody. It’s like a landscape that I feel totally at home in and totally free to express myself. I don’t feel that way when I have conversations with people. Can you tell me something about his work and why you were inspired to write about it? Heather: We all hear about things in the news that are terrible, and we emphatize with the people that suffer and their situations, but we carry on with our lives passively. And here was this guy, Matt George, originally a surfer and a writer for Surfer Magazine, who heard about this Tsunami and said “I’m going to get out there to help.” He got on the plane with some friends -they were surfers too- and went out to Indonesia where there was this big tsunami in 2004. On the outer island there were people that weren’t reached by the aid organizations. So they hired a boat, went out to these islands that were hard to reach and took relief and medical supplies out to these people. From there he started his organization “Last Mile” that helps to go the last mile where the large aid organizations aren’t reaching. I thought he was an inspiration to us all because of that proactive attitude and sort of selflessness. That was inspiring to me. I read an article that he had written and someone asked him why he did what he did. He said that it was for the look in the eyes of the people that he saved. It lifted him to higher grounds and I thought that was a very beautiful sentiment. Sanderz: How can you compare this phrase to how you perceive writing music? Heather: The same thing happens, I mean I’m not doing so much good for the world. You cannot compare it to saving lives. But a live concert situation is a good example because although you are there singing the music it’s really the energy from the people and their emotional response that matters. It’s this give and take thing. You realize you’re part of a process and it’s not because you’re up on the stage that you’re the only one contributing. Everyone is part of it, the listeners, the people making the music and that’s a beautiful thing. I don’t know if I’m putting this into words very well, but (laughs) again, maybe I should write a song about it. Sanderz: “Save a Little Piece of Tomorrow” is a song about how global warming could affect the future of your son Sebastian. “To swim over rooftops” feels like the premonition of another Atlantis. How do you -accept or act- on the inability to control the future you want for your child in the matter of global warming? Heather: Having a child in general teaches you that you have to let go a lot and realize that you can’t control fate. You want to protect him all the way through his live and never let anything happen, but you can’t. It’s this huge lesson in acceptance but at the same time you feel you would die for him. I don’t think of “Save a Little Piece of Tomorrow” as a political song. It’s from an emotional place of saying, “I don’t want you to grow up and have to swim over your childhood home.” So I will do what I can even though it’s a very small part. I’ll do my best to stop that from happening. Sanderz: Climate change harbors many threats for Bermuda’s future. Living on a relatively small island and practically on sea-level, what are the adaptations made by organizations or local authorities to combat the environmental changes? Heather: It’s starting, but it’s slow. We recycle now, but that’s something you probably are doing for like 30 years. In Bermuda it’s more recent. There’s a good organization there called ‘GreenRockin’. They do a lot in the community to promote awareness and conscious living. It’s starting. They don’t have grocery bags in the stores anymore. You have to bring your own bag. That’s a big step. Sanderz: ‘Stop the fire ’ is a direct appeal to stop gang related violence in Bermuda. Have you received any feedback on that song? Heather; No, I didn’t really advertise it so much in Bermuda. I wrote the song from a feeling that I had. It’s difficult. It’s a sensitive subject. You don’t want to sound like you’re preaching to someone. The angle of the song is: Maybe we don’t understand each other, maybe we need to break down the barriers and have compassion for people who had a rough childhood. The violence is caused because they haven’t had the nurturing and the love that they need. That’s where it starts. So we need to help everybody in the community to be more cared for. I’m involved in some organizations in Bermuda who help to inspire the youth there, because if they don’t have something positive to put their energy into, it turns negative. We help to find them their creative voices and stuff like that. Sanderz: The question we ask all interviewees: What do you do in your daily live to reduce your carbon footprint? Heather: Like I said, we have solar power, we recycle, I do use my own bags, but I find it hard as an artist to reconcile being a green person. Artists are some of the worst emitters, because when they tour their carbon footprint is so big. Not to mention all the cd-packaging and all the cd’s. That’s the good thing about digital distribution. So I’m happy about that. We’re not like this kind of production (referring to Bryan Adams performing in the background). I tour with just one bus, but still I think it would be nice if there was a different way, because it’s hard to talk about climate change and then travel around Europe in a bus. You have to balance it and I guess that’s what I’m doing with the solar panels.